During our first post of this series, we discussed how DC Inverter air conditioners operate. We went into detail on what types of DC Inverter Type ACs exist and whether the energy saving claims made by the manufacturers are true. For today, we want our readers to get up to speed about the various pros and cons of a DC inverter AC over a conventional AC. DC inverter tech brings a lot of advantages, but more often than not, there are some shortcomings with technical advances which tend to get ignored. There is no doubt that DC Inverter ACs will save you money but let’s go through an easy to understand list of pros and cons of an AC. Read More: What Types of DC Inverter ACs Are There? How Do They Work and How Much Can They Save? The efficiency of an AC is enhanced since the start/stop cycles are eliminated in a DC Inverter AC. The AC does not operate at full power, but still maintains the desired temperature. This is another reason why these ACs can still save energy even if there are regular power outages. Inverter ACs are cheaper to operate in almost all types of conditions. Quicker cooling or heating (based on feature availability) can be achieved since an inverter AC can pull the required current on its own to increase initial cooling or heating. The inverter AC can calculate the current draw by using the indoor and outdoor temperature difference. DC Inverter ACs don’t put extra load on its power supply. Therefore you don’t see fluctuations in electricity caused by them. The life of components (used in the AC and other electrical household components) is increased due to the same reason i.e. gentle power draw. DC Inverter ACs are much quieter compared to conventional ones. The outdoor unit usually makes far less sound as the unit is operating at a reduced rate. It eliminates the jerky start-up sound as well. These types of ACs often use an environment friendly refrigerant gas (R410A) which do not cause harmful effects like the CFCs on the Ozone layer. Inverter ACs offer a more stable operation and you usually won’t notice any changes when it is operating. Cooling or Heating is maintained much more accurately as the AC doesn’t turn off and the other aspects also add to its stable and gentle operation. Most inverter ACs come with dual-mode air conditioning, which more or less makes up for the higher price compared to cooling-only ACs. A dual-mode AC, which cools or heats depending on the weather, will get you more savings throughout the year, making up for its higher cost much faster. It is possible to use DC Inverter ACs with UPS, Batteries or Solar Panels. Most DC Inverter ACs keep working even at low voltages without any issues. DC Inverter ACs cost more. Even without the dual-mode function, they still come with high price tags. The built-in circuit becomes far more complex due to multiple conversions from AC (Alternating Current) to DC (Direct Current) and back to AC (Alternating Current). 3-DC, 4-D or All DC inverter ACs have even more conversions taking place as there are more components working on DC. Repair costs increase as components are more sophisticated and as a result, more expensive. They require more effort to build or repair. Specialist technicians are hard to find for inverter ACs. Most local technicians have little to no experience with these new ACs. Users might even have to get their AC fixed from its manufacturer’s service centre, translating to more expense, if they can’t find a skilled technician. Conversion energy losses occur on every single one of the conversion steps. The losses can go as high as 4-6%, depending on the conditions and quality of the equipment. Manufacturers are aware of this and count it in the final power savings. These ACs often come with R410A refrigerant gas while most technicians still only have an R-22 (CFC-based) refrigerant gas. Users will have to ask their technicians to refill the AC with R410A when required. Only a few of the local brands offer 3-DC/4-D/All-DC Inverter ACs. So users might have to wait for a while before their brand of choice starts selling a more energy saving type of DC inverter AC. Going through the advantages/disavantages above, one can see a more favorable view of DC Inverters emerging as a whole. Most of the pros and some of the cons circle around the basic working of a DC Inverter AC. Gentle power draw and controlled, continuous air conditioning are the behind most of the advantages. The cons, while still there, aren’t deal breakers. DC Inverter ACs do not possess any shortcoming which could be problematic. New ACs often come with years of warranty and by the time that ends, the current problem of unskilled technicians will be resolved. And as far as the ‘huge’ cost of buying an Inverter AC is concerned, you end up paying less in the longer run as your electricity bill goes down significantly. Our advice would be to go for a DC Inverter AC if you have the cash. Even if you don’t want to or cannot afford an extra 10k-20k for an AC, you should consider the fact that these ACs will pay you back, with savings, within the first season of use. Future is of DC Inverter ACs. R-22 is being phased out globally. USA banned new equipment containing it in 2010. R410A is energy efficient and environmentally friendly as compared to R-22. Kuch sai samaj ni ayee. . .
Billy meant school parh letay ? Can someone recomond me best DC inverter brand available in Pakistan and secondly i have heared dc inveeter is only good if you have uninterrupted power supply otherwise its waste of resources , is that true as we have loadsheddings all over pakistan ? Load shedding will effect the electricity savings but it’s still saving more than conventional technology.. And I can’t recommend any specific brand yet..
yesterday bought Haier. Their dealers are looters selling old model at latest model price. After 5 hours continues operation room temperature reaches 29C at night and then it was consuming 2.5 Amps. I too bought a Haier DC inverter heat and cool. In cooling mode its works fine and draws 2.2-2.3 Amps when the temperature is attained but in heating mode its just total forgery. The inverter mode doesn’t work at all in heating mode. It has those start / stop cycles as normal AC. Seems like they are looting and fooling the nation. Did you check you AC too if its available with dual mode? I am also using Haier for more than a year now and have been witnessing great savings throughout. DC inverter AC operates quite different from conventional AC hence you might require some time to learn its features and modes in order to push it to maximize the cooling and minimize the power consumption. Regarding heating mode, I used its heater throughout winter and it does not stop whole night and fully operates in DC mode. Plz have your AC checked or by the vendor or try using heater in Winter. The compressor does turn off if the temperature difference gets below 3 degrees. You can check this by cooling your room to 26 or 27 degrees and raise the temperature to 30 degrees. for 29C ..better to use a fan..dont waste money on AC…cooling doesnt start to feel until 24C. Haier will give u service. I mean if there’s a problem they will come on one call. That’s an advantage. I am using Kenwood since last 2 years and it is working great. of best DC inverter AC. Can you tell me how much a 1.5 ton split ac will cost? last year it was 120k. I got GREE H2 1.5 TON in 73K in August 2016. Ap logon ka bill kitna ata hay monthly ?? 5-6 thousand commercial billing system. it doesn’t make sense to purchase the imported AC for 120k when you can buy the chinese in 65k. Payback is much better if you go for brands like Gree and Kenwood, etc. 1) Start a series of posts on DC inverter ACs when time is ripe. 2) Do not recommend a any brand yet. Not in first few posts. 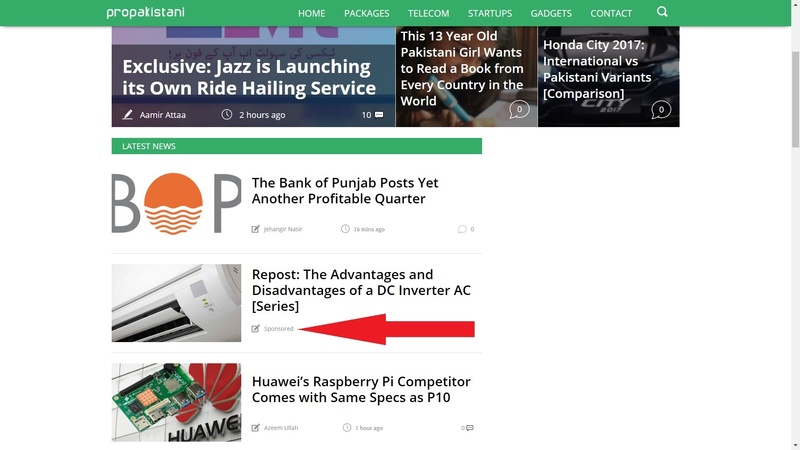 3) Show the readership of the first few posts to DC Inverter AC brands and they will be happy to sponsor when time comes for recommendation. I am not criticizing the strategy. I hope that if and when there is a sponsor for the post with recommendations for brands, the readers will be told that the post is sponsored. I agree with your last point. Readers should be told that the post is sponsored. Hahahahaha Good catch! Totally agreed. It’s all business bro! i wouldnt mind somebody get paid to give us details we all need. atleast u didnt pay. n he did deliver a detailed article on the topic. Imagine CLICKBAIT title, terrible article. and sponsored. now thats to be angry about. Inverter ACs currently on the market in Pakistan will only provide significance energy bill savings when used in buildings with high quality insulation comparable to Canadian or Scandinavian buildings. Cavity walls are essential: the cavities should contain insulating foam or high quality rock wool batts with reflective radiation shields. Double roof structures with ventilation and radiation shielding are also needed, and at least double glazed windows. Highly effective door seals are also necessary to inhibit loss of cool air. I have never seen this kind of building construction in Pakistan or India. In normal uninsulated Pakistan buildings, it is likely that your inverter AC will require more electricity than a conventional (new) air conditioner because most inverter ACs are designed for peak efficiency only at low power levels achievable with high quality insulation and draft sealing. Some slight energy savings may be possible compared with older split ACs in coastal settings like Karachi, particularly with buildings with cavity walls and rooms which are not exposed to direct sunlight on the ground floor where cooling requirements are much less. However, the savings may result as much from from using a new AC with clean heat exchangers and new compressor. The DC inverter may not by itself provide significant energy savings. “SUCCESS” AC INVERTER IS BEST IN MARKET, THIS IS A BRAND OF SINGAPORE. SUCCESS” AC INVERTER IS BEST IN MARKET, THIS IS A BRAND OF SINGAPORE. You are correct. Canadian standards mandate R50-52 for whole house, and R-70 for roof/ceilings. R is the reciprocal of g, a measure of energy conductance. Sunlight has 1) a direct beam component, comprising a shortwave (384 nanometer-730-760 nanometer) and a longer wave fraction (beyond 760 nm); 2) an indirect or global beam, which consists of the heat waves, Infra-red, radiating into rooms, etc. from surfaces on which sunlight falls: roads, roofs, surrounding walls and surfaces that radiate into the space that is to be cooled. This is the radiant heat load. Then, there is the convective heat load, which can be positive or negative. It is usually positive in the subcontinent during the cooling season. Hot air adds to the cooling load. It carries additional joules from neighboring surfaces, including neighboring kitchens, restaurants and neighboring exhausts from AC units, traffic, roads, roofs etc. Leaks from windows, underneath doors, etc. add to convective loads. Finally, there is a conduction load. Some amount moves by conduction from roofs and walls made of solid brick and concrete, window frames of aluminum, etc. from a hotter “outside” to a cooler “inside”, adding to the cooling load experienced by the AC unit. If it is possible, a professional energy audit should be done by a competent HVAC engineer using reliable equipment for each room to be cooled, taking into account the position of the room and the astronomical position with respect to solar gain. Then the volume to be cooled and peak loads can be calculated a bit more accurately, and the correct size of machine installed. Where water is available and that is a VERY BIG IF, evaporative coolers do have their uses in dry climates like Lahore and Peshawar for the very hottest months. If used with considerable caution. I have lived with such machines in Delhi in my childhood. Even earlier, passive vetiver matting used to do the job, in the early 60s, with excellent results. Why should these not be given another try? Water is an issue, and so is the labor to make the vetiver matting. Thanks, GT. Water coolers are widely used in Pakistan and India in the dry season. They are noisy and create increased humidity which, in the end, raises the dew point and causes increased discomfort at night. They can very effectively compliment air conditioning by cooling the building mass during the day and evening. For newer commercial buildings, indirect evaporative coolers are an extremely attractive technology. For a Single 1.5Ton DC Inverter AC You will need 8-10, 250 watt Solar Panels, a minimum of 3Kva Inverter and 2 Batteries. i got green air 1 ton split air conditioner.brand new 1 month old.1220 watts for cooling.can run on solar panels 1200 watts directly.solar panels cost 80000.homage 5kva solar ups 66000.4 batteries 44000.and u are ready to run it offgrid.if no sunlight ll run for maximum 30 minutes. 100% Agreed with all of you (i-e: R410A v/s R22 & Cost pay back), plz clear one thing, what would be the status/Electricity consumption in such areas where electricity OFF after every 2~3 hrs…….??? As per my poor working, DC Inverter AC v/s regular AC consumption remain same in such cities/villages where electricity problem(Start-Stop-Start). Please confirm…! No, it wouldn’t be same. You are right that it won’t be too effective in areas where there are frequent power outages but still it will fare better than the conventional ACs. Urgently Looking for Co Founder/Partner from the field of HRM and IT As we are starting a new startup (Company) on a unique idea related to HRM and many more. Nice platform to advertise right? Get your English sorted out first and then find a proper platform to advertise for your so called startup. One would think this was written in 2010! R410a uncommon? R410 is actually no better than R22, in terms of the environment. It is just a big scam and the people behind the scam make huge money by making large installations get obsolete, only to be up-graded to R410 based systems at much higher cost. Same story behind everything, almost. Can any one tell me an approx bill if a DC Inverter is used for 10 Hours daily ? Bijli Ka Bill K-Electric K Marzi K Mutabik He Ayega : No Compromise. If you have enough money, buy Sharp DC Inverter AC. Its one of the best but not easily available. Its capable of lowering the room temperature by 5 degrees in just a couple of minutes. Green Air have best DC invertor. Better then gree. Daiken and green air have been market by same group, MIA. Purchase 3 Ac all are working Good. Same is the case for the AC split versions. did you ask him why he thinks the DC versions will be useless and not the AC version during load shedding? your local AC technicians are the worst people to ask for advice. They all are at best just a diploma holders, at worse completely uneducated. DC series hurt their business as they are unable to fix them. So they try their best to discourage people from buying them. It looks like average class people like us will still have to wait for some more time to get even more efficient and cheap DC Inverter ac at affordable prices.. I bought 1.5ton PEL DC inverter AC. I have been told to use it only on 26/27/28/29 Degree C only. If Shifted to 25c It will run as a normal AC using max electricity. Further more use only Auto fan speed and if Shifted to Low,Med of High fan it will become a Normal AC using more electricity. Can any body help me whether its true or I am misguided. DON’T PURCHASE HAIER Inverter, I’m using very latest model, it couldn’t maintain room temperature and cooling is very low, I’ve to turn on Fan with it. which haier model?as far as i know haier has best air flow and very long throw??? 12HNF, purchased last year 46,000. We are selling it now on for 30,000. Anyone interested can contact me. OK, I would recommend GREE or Kenwood, both are best. Company ? Inverter ac ? Area where it use last year ? plz tell me your room size in which your unit is working? Hello guys can any one suggest about PEL Inverter its latest with 5 years warranty. I have been advised by the dealer to go for it or Kenwood is best. I bought a Gree DC inverter AC 1.5 ton last month, and installed it in a room 10×8 ft. which was more than ideal, and I was given the impression that it will trip quickly and will save more power. But not that it is running, I set it to 22 and when checking the tempurature after an hour or more it is still at 28 or 27. It has never gone below that. The door isn’t opened that frequently, and still i would for once like to see it acheive the 22, forget 16. I am very disappointed. This is my first AC so I wanna know if this is the case with every AC or just me so I can lodge a complaint..
Bro your expectation isn’t realistic. In this hot weather you need your AC to make your room 22c from about 35c in one hour. I don’t think any AC can do this. Okay.. well that is what I wanna know, what to expect.. I saw three types of these Split type AC here in my country, The Philippines.. Basic inverter, Premium Inverter, and Full DC inverter. I think Full DC inverter is the best of the bunch and there’s only two brand that offers Full DC inverter here in my country that I knew so far as of this writing (March, 2018), Hitachi, and Kolin. R410 works at higher pressures, therefore equipment can be scaled down as much 50% for same cooling capacity when compared with R22. R32 will replace R410 in some region of the world as it is even more energy efficient, and already seeing wide spread use in far east. It is mildly flammable so require careful equipment design. DO NOT BUY HAIER PRODUCTS….Bad Quality Products…..Just in 18 months, I had to replace Inverter AC’s main Kits Twice costing me more than Rs. 30,000 plus mental agony and pain. DO NOT EVER BUY HAIER PRODUCTS USING LOW QUALITY CHINA KITS.